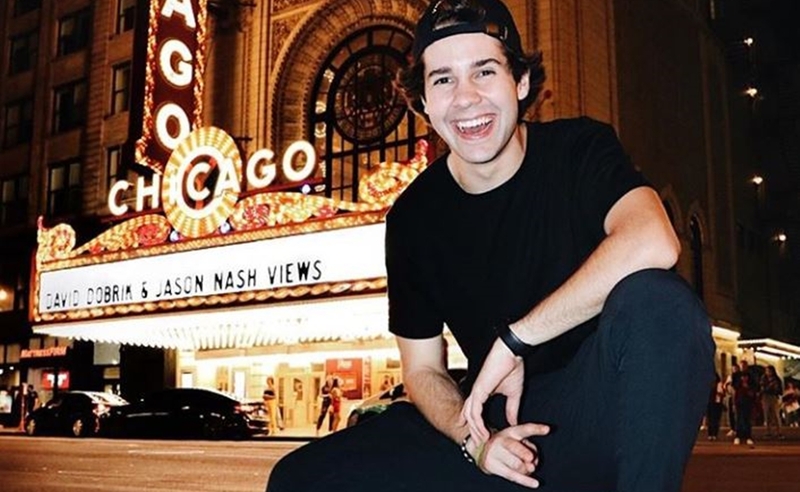 David Dobrik may be soaring to impressive heights on YouTube, though perhaps his unique brand of entertainment doesn’t translate to more premium-leaning platforms — yet. In an appearance on ADHD, a new podcast hosted by the actor/musician Travis Mills, Dobrik shared that he initially planned to stop vlogging after releasing his 420th video earlier this year. That’s because his greatest fear, he says, is waning into irrelevance after reaching the apex of his career. Consequently, Dobrik wanted to stop his synonymous vlog to pursue a Netflix series, he tells Mills — though that project was ultimately rejected by the streaming giant. Ultimately, however, Dobrik claims that Netflix execs didn’t believe that a mere YouTube star was capable of helming a viable series. “To convince these execs and these people that don’t know anything about YouTube is very difficult,” Dobrik says. To be fair, though, Netflix has dipped its toes into the digital creator realm in the past, with a Cameron Dallas docuseries and Colleen Ballinger‘s cancelled comedy Haters Back Off.